The behavior of an abrasive material is influenced by the hardness, size, and shape of the particles. A harder particle will be more aggressive in altering the surface of the work piece. Larger particles generate higher impact force removing the material surface quicker and producing a heavier texture. Particle shape also plays a role. Particles with points and edges remove surface material on impact, while round particles without cutting edges are used to pound or “peen” a surface. Particle size analysis of abrasives had traditionally been performed using sieves and sedimentation. This led to a split between macrogrits based on screen sizes (4 to 220) and microgrits based on sedimentation (240 and below). 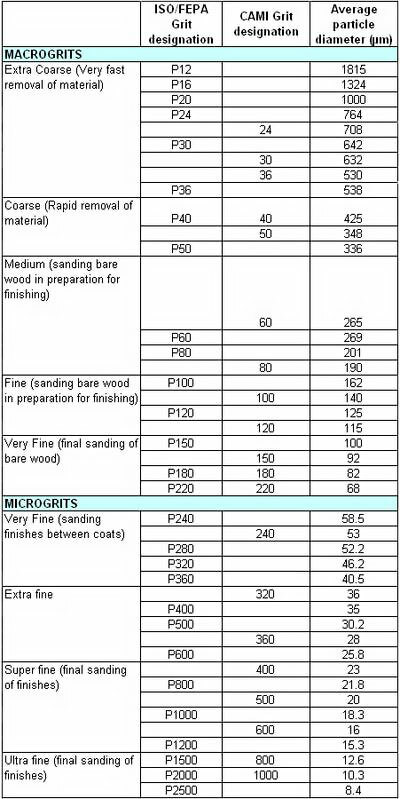 Various standards exist for classifying the size range of abrasive materials. The table below compares Coated Abrasive Manufacturers Institute (CAMI) and Federation of European Producers of Abrasives (FEPA) "P" designations with the average grit size in microns (µm). The laser diffraction technique is capable of covering almost all of the abrasive size ranges and is quicker and easier than either sieves or sedimentation. For this reason laser diffraction is becoming more popular as a technique. Results from the LA-960 laser diffraction analyzer for diamond and silicon carbide abrasives are shown below. Diamond abrasives using laser diffraction. Silicon carbide using laser diffraction. Automated image analysis provides not only particle size distribution, but also particle shape information. The additional morphology information is important for abrasives because the presence of sharp edges typically enhances abrasive performance. The PSA300 provides a wide array of both particle size and shape parameters to fully describe the physical characteristics of abrasive powders. 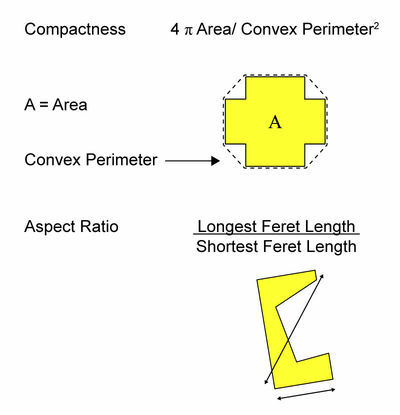 DescriptionThis document defines the various particle size and shape parameters calculated in the PSA300 software. DescriptionDiamond is one of the hardest materials known to man. As such, it makes an ideal abrasive for applications such as grinding wheels, hones and dressing tools. The finer grades are called diamond micron powders and are used in a powder or slurry form for a variety of polishing and lapping applications. DescriptionMany abrasives are either natural or synthetic minerals used to shape or finish a work piece through rubbing which leads to part of the piece being worn away. They are used in a wide range of domestic and industrial applications, giving rise to a wide range of chemical composition, physical size, and shape of the abrasive material. This study utilizes automated image analysis to quantify the size and shape of various abrasive materials.